Your American sports car deserves the highest quality accessories. 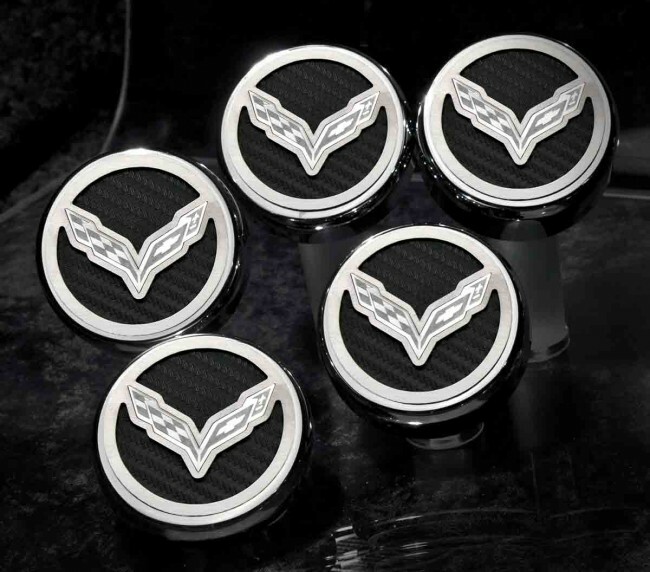 Give your 2014-2015 Corvette Stingray engine bay a visual boost when you add our 5 piece Corvette Flag Emblem Fluid Cap Cover set. These high quality caps are made in the USA and are designed to fit your 2014-2015 Corvette Stingray. NOTE: This part is for automatic transmissions only.